As you may know, I won an amaaazing prize at the Bloggers Unite Event the other week. Part of this prize was the entire range of Dusty Girls make up. You read the right, the ENTIRE range. As in, every single product they make. That’s crazy! Obviously, I was ridiculously excited to try everything. And at this point I have tried almost everything and I thought I’d tell you what I think about them. The only products I haven’t tried are the Earth Cream and Mineral Foundation (which were not my particular shade of pasty white) and the mascara (because I don’t need to open a new one). 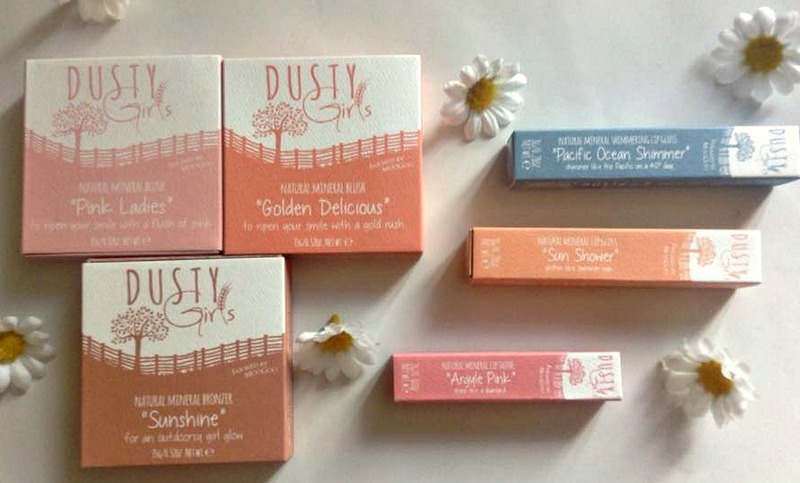 Dusty Girls is an Australian brand, created by the same company that makes Moogoo. Their products are all-natural, technically edible (although I’d recommend eating actual food over cosmetics any day) and cruelty free. Although they’re based on Australia, they ship worldwide and you can find them here. First of all, how cute is the packaging?! To be honest, the packaging for all their products is freaking adorable. 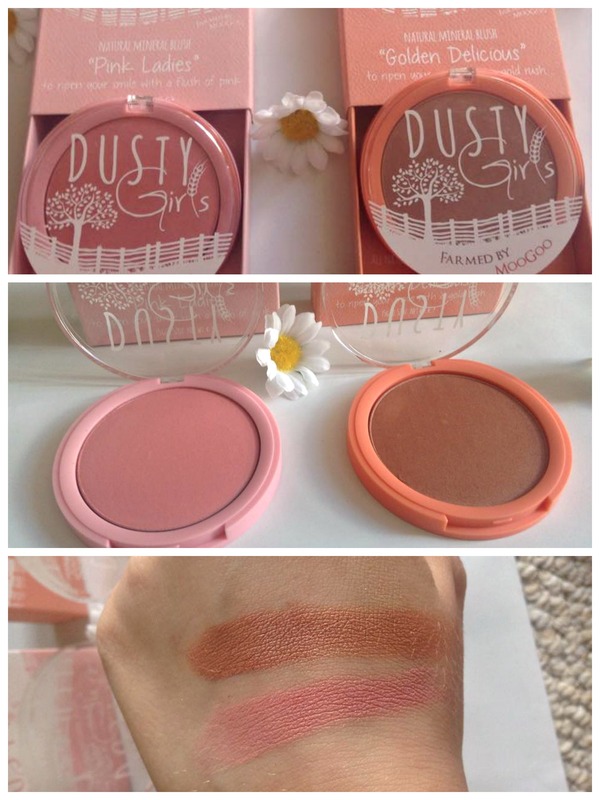 Anyway, the blushes themselves are both very soft, pigmented and blendable. Personally, I like them best when applied with a either a standard blush brush or a kabuki, as I think it gives the most natural, glowy finish. They’re also safe to be used on they eyes and lips. I’ve tried it and they do look really nice like that. Pink Ladies is a rosy pink with some gold shimmers. On the skin, you can’t really see the sparkles, it just looks like it has a golden sheen/shift. Golden Delicious is a bronzey peach shade with a sheen. This one doesn’t have any sparkles in it at all. If you’re as pale as me, I recommend using a light hand with this one! I have never been a big fan of lipgloss. I just always disliked how goopy it could be and how my hair always got stuck in it. I gave these ago anyway and I was pleasantly surprised. They don’t feel like lipglosses at all, they’re more like a lip oil. They have a nice slip to them and they feel like they’re nourishing my lips. Looking it the ingredients list, it’s easy to see why – almost every ingredient is an oil. I may have been converted. Pacific Ocean Shimmer is a sheer milky gloss with a TON of pink and gold sparkles. It’s pretty much all shimmer. I’m so sad that it didn’t show up that well in my picture. It’s seriously beautiful. You can’t feel the sparkles, it’s very smooth and comfortable to wear. Sun Shower is a clear gloss with a slight peachy tint. The peach doesn’t really show up on my lips, but I’m not complaining. It means I finally have a comfortable, clear gloss that I can wear over any lip colour that my hair won’t get stuck in. It feels so good on the lips too, like really really good. Although this looks like a lipstick in the tube, I’d describe as more of a tinted lip balm. It has a sheer wash of shimmery pink that can be built up for more opacity, but it feels like a balm on the lips, again due to all the oils in it. It feels nourishing and I can see myself wearing this a lot throughout the summer on minimal make up days. The shade itself is very flattering and I can see it suiting a lot of people. 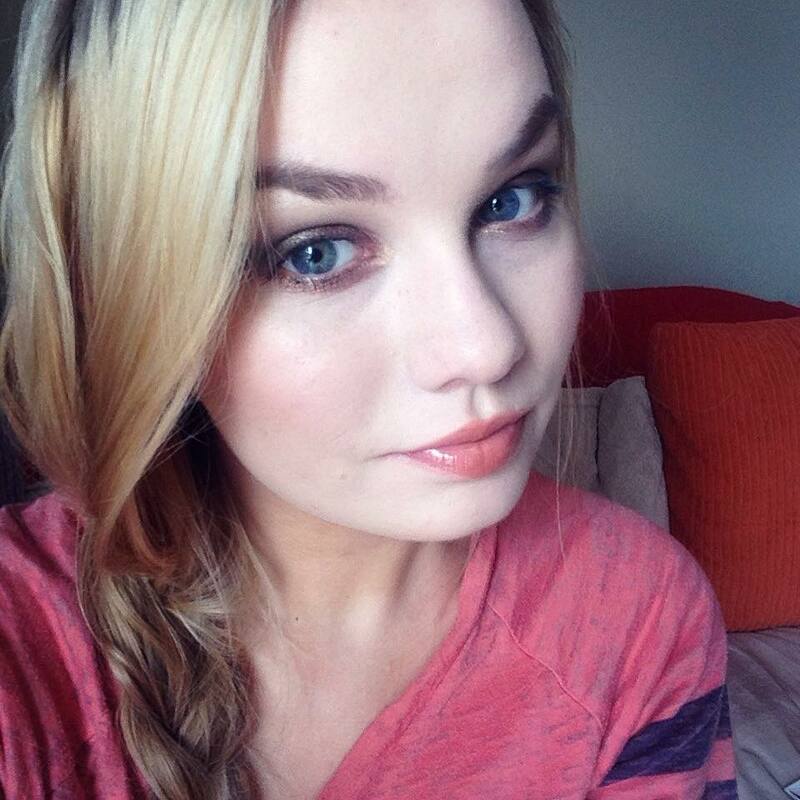 Cheeks: Bronzer in Sunshine (also on the forehead) and Blush in Pink Ladies. Lips: Blush in Golden Delicious and Lip Gloss in Sun Shower. Do you think you’ll try Dusty Girls? What’s your favourite natural make up brand? Let me know in the comments below. *Although I won this, I was under no obligation to review any of the products and all opinions are my own, honest thoughts.